It often amazes me at how often I find myself apologizing to others for rashly commenting on a problem before I have all the facts. In fact, after so many years as a professional in the IT space and dealing with countless critical situation/severity one problems (a.k.a. Sev1, crit-sit) I would be able to react in a more appropriate and beneficial manner. The sad truth is that, as I write this post. I JUST "did it wrong" on a Sev1 from earlier in the day and found myself sheepishly apologizing for my brash response. Perhaps by writing this down and publishing for others to read I can obtain the positive results of public shame to result in my correcting my behavior. At least there is a chance someone else can read this and benefit from my mistakes. The fundamental problem I seem to have is that I hear a few pieces of information or even just the subject line of an e-mail or short text message and immediately jump to a conclusion. Having done a bit of a personal post-mortem, I find that this tends to be my go to response when there is a heightened sense of urgency. Perhaps when there is a Sev1 and my flight or fight response kicks in the adrenaline kicks in and causes my brain to overly react, at least that is the excuse I'm going to tell myself. What can I do about this? First, remember to breath, while it is perhaps a cliche it has been proven over and over again that taking a few deep breaths and making sure you have oxygen flowing helps you to think clearly. I also, personally, think that the time it takes you to breath can help dissipate some of that "nervous" energy that is initially kicked off by the excitement. 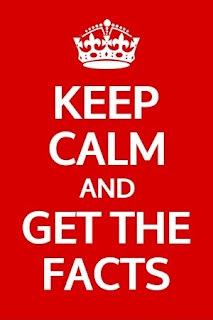 Even if you forget to take the deep breaths, the one detail that must not be forgotten is this... Get the Facts. This is summed up quite nicely in a wise proverb which reads "When anyone replies to a matter before he hears the facts, it is foolish and humiliating" (Proverbs 18:13). Let me tell you, I feel like a fool when I realize that I've spoken about a problem, incorrectly. and it all could have been avoided simply by obtaining all the facts, which often are readily available. Related to this, when you find that facts you have distributed were inaccurate, it is vital to attempt to distribute the correction as quickly as possible. Even if you find that you don't have corrected information, but you know what was previously stated was inaccurate, it's helpful for others to know that so that decisions are not made on faulty details. I hope that my faults and lessons learned will be of benefit to others going forward.